Phones That Can Fold! – ACC Interactive Media Arts Student Blog! 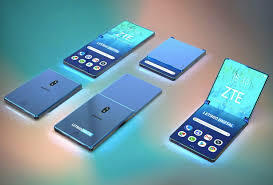 With new technology always on the rise the race to create the newest technology trends never ends, So its no surprise to me that Google has recently announced that they have been working on releasing a smartphone that can fold in every which way and slide right into your pocket. Of course with the incredible announcement from Google, Companies and entrepreneurs around the world begin the race to be the first to create the worlds first fold-able smartphone. I think that this could be game changing for not just the phone industry but technology as a whole. Imagine just folding up your television and putting it your backpack for a trip the possibilities would be endless and this fold-able trend could really be one to take off and change the way we design our tech products. With the amount of money on the line to produce a quality product that people are now looking forward too. Samsung has given an official release date on their rendition of their fold-able smartphone. The “Samsung Fold” is set to release as early as April 26th, 2019 and with all the hype around the phone I think Samsung has a lot to live up too but at the same time i think that they could be the first to really pull it off. Samsung has truly been a pioneer in the smartphone industry, always trying to create something new or modify something to better their consumers and change the way people view phones as a whole. I think that the future of technology could change drastically with this current trend as it’s going to spark new and old trends to resurface and the never ending race to be the first to create something new will forever continue. Its going to be interesting to see how these phones actually work after being put into the real world and if they live up to the rumours. This entry was posted in General, Media Trends & Tech and tagged Android, Foldable, future, Phone, tech, trends.